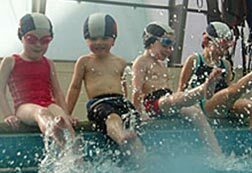 Come and have fun learning to swim with new friends. Swimming is an enjoyable healthy exercise that will promote your piece of mind and bodily well being. and can offer you a wide range of aquatic services..
- a lesson daily over the period of a week. - These courses can be highly effective for complete beginners ( all ages) or children lacking in confidence. However.